The grandeur, the turrets, the intrigue, the sneak royalty… there’s a reason that castles are a perennial hit for families on holiday, both for kids and parents. 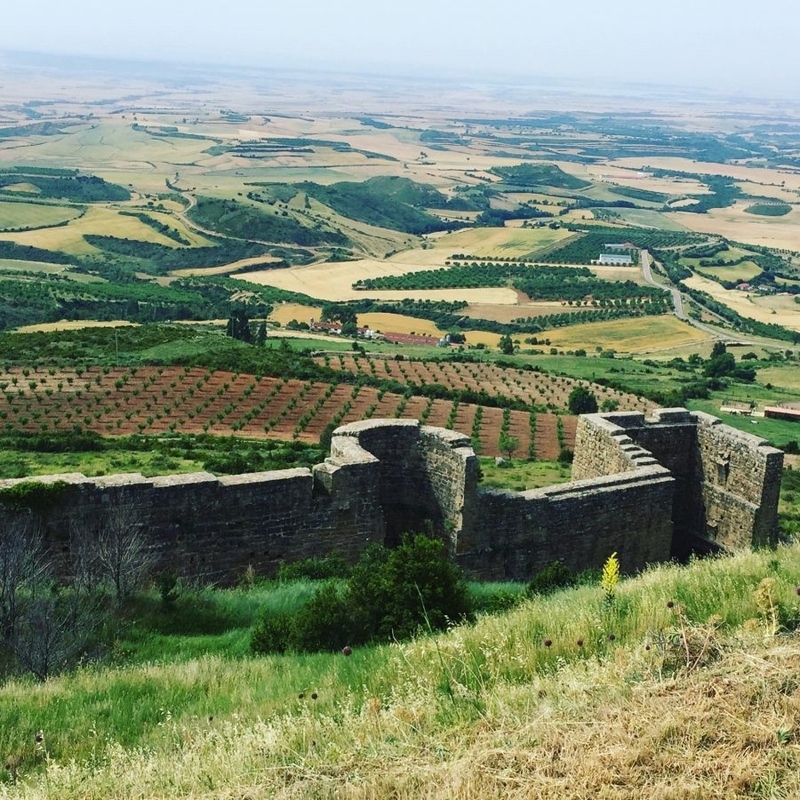 Here, Clare Thomson of Suitcases and Sandcastles (below) highlights 5 of the top castles that no one should miss in Spain. This post part of the #SpainforFamilies sponsored paid project with Spain. There’s nothing quite like a castle for firing up a child’s imagination. My kids love visiting castles. 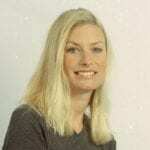 They’ll happily spend hours marching over the drawbridge, climbing into towers and walking along the battlements. It’s even better if the castle has secret passageways and dungeons to discover. When we go on holiday we always look for new castles to explore. One of the best countries for castles is Spain. 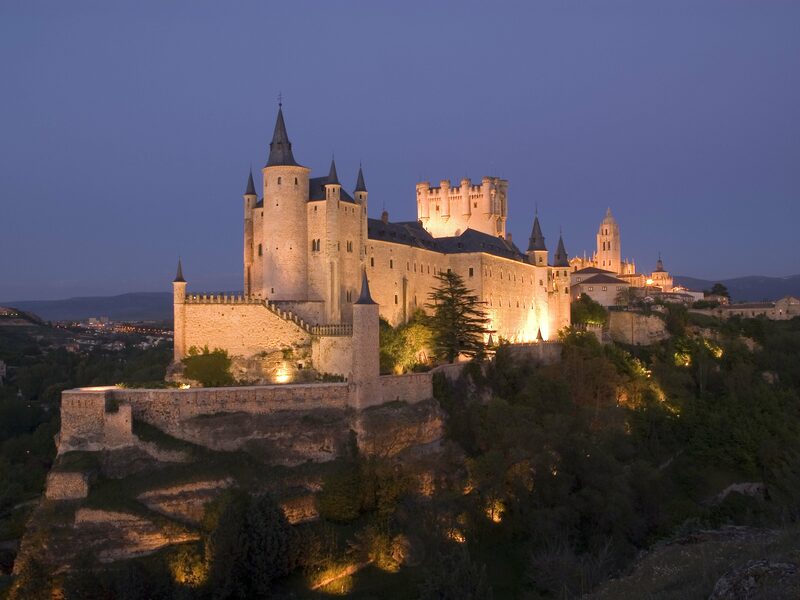 Did you know that there are over 2,500 castles in Spain? There are medieval castles, military fortresses and Moorish palaces all over the country. You can even stay in some of them. Here are five of the best for children of all ages, highlighting the most interesting things to see and do while you’re there and tips on making it more fun for kids. This is the classic fairytale castle. The beautiful Alcázar of Segovia is said to have been the inspiration for the Cinderella Castle at Walt Disney World and you can see why – the tall, circular towers and ornamental turrets make it look as if it’s come straight from the pages of a fairytale. There’s plenty to explore here, from the Throne Room to the Hall of the Monarchs, which is lined with portraits of the kings and queens of Spain – this was their official palace until Madrid became the capital. Be sure to climb up the spiral staircase too, for great views over the surrounding countryside. The historic city of Segovia is well worth a visit. It’s even believed to have been founded by Hercules. Don’t miss the Roman aqueduct, a walk along the medieval walls and the chance to try the city’s most famous dish – roast suckling pig. 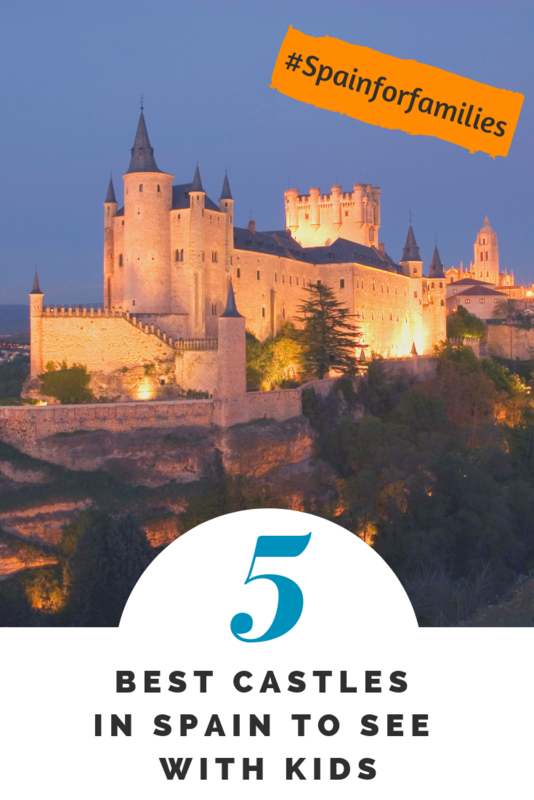 Segovia is an hour north of Madrid so it can be visited on a day trip although we’d love to spend a few days here – it would make an ideal short break with kids. How would your kids like a sleepover in a castle? Mine would love to spend the night in one of the vaulted rooms at this medieval castle in Navarre, northern Spain. The oldest part of the castle is now a parador, one of Spain’s historic hotels. Olite Castle was once one of the most luxurious castles in Europe. The palace of the kings of Navarre was famous for its exotic hanging gardens, extravagantly gilded rooms and zoo, complete with lions and giraffes. You can visit the royal chamber in the keep and explore the turrets and passageways before having a wander around the small medieval town of Olite. The best time for families to visit is in August, when there’s a medieval fair, with dramatised tours of the castle, live performances and medieval crafts and jugglers all over the town. Although perhaps strictly speaking this is a fortress complex, the Alhambra makes our list because it’s the most beautiful palace of them all and our whole family is desperate to see it. The Unesco World Heritage Site in Granada, Andalucia, is one of Spain’s most popular tourist attractions so aim to book tickets several months before your visit. The Alhambra dates from the 13th century and is considered to be one of the finest examples of Andalusian art. From the intricate carvings on the ceilings to the beautiful tiles, it’s hard to walk around without saying ‘wow’ every few seconds. To get the most out of a family visit, it’s worth getting your kids to find out more about the Alhambra before you go and allow plenty of time for your visit. This is one place where it’s worth considering hiring a private guide who’ll be able to help bring the palace alive with stories and interesting facts. The Generalife Gardens are almost as beautiful as the palace itself and kids will especially love exploring here. There are fountains with carved lions and ponds filled with goldfish. It’s not an ideal trip for very young children as no pushchairs are allowed inside. Be sure to bring plenty of snacks and water bottles to fill up at the numerous water fountains. 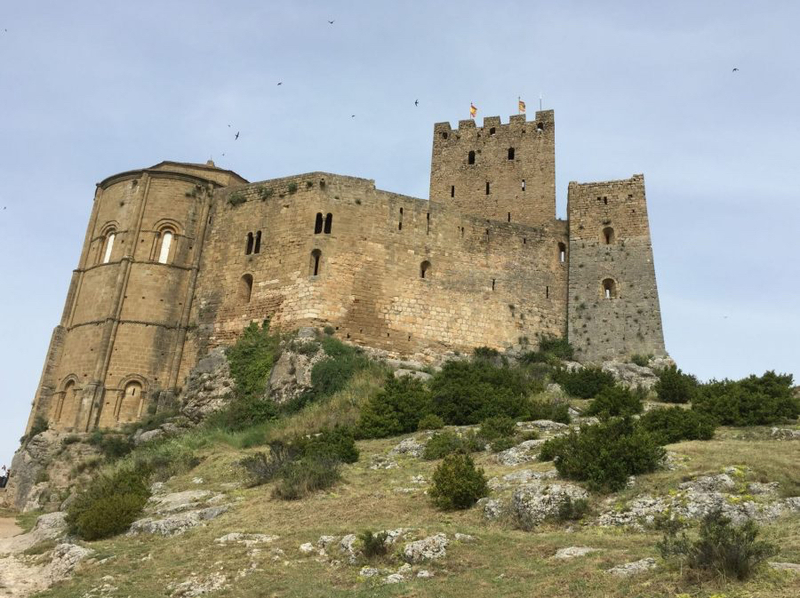 Children can use a treasure map to find their way around one of Spain’s oldest castles at this castle in Aragon, north eastern Spain. Loarre Castle has such a spectacular location on a rock in the foothills of the Pyrenees that it was used as a location for Ridley Scott’s film Kingdom of Heaven starring Orlando Bloom and Liam Neeson. Although the castle is semi-ruined, there’s lots to entertain children, from exploring the secret passageways and dungeons to climbing the towers and spotting the dogs and monkeys carved into the stone. Aragon makes a great base for family adventure holidays. Children as young as eight can go whitewater rafting down the Gallégo River and hiking and kayaking are popular in the area too. 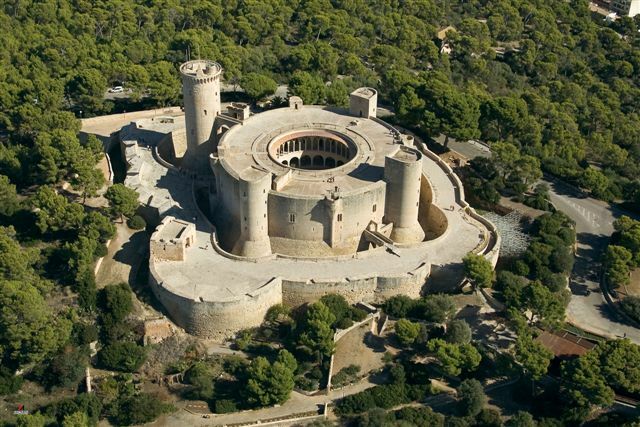 We really want to take our kids to the island of Mallorca and when we do, we’ll be sure to visit the only round castle in Spain. The walls, towers and main body of Bellver Castle in Palma de Mallorca are all completely circular. In fact, this 14th-century castle is one of the oldest circular fortresses in Europe. It has everything children require from a castle. There’s a moat, a drawbridge and a great walk along the ramparts. If you climb onto the roof you’ll be rewarded with some of the best views over Palma. ‘Bellver’ means ‘lovely view’ in Catalan. The castle was used as a military prison for several hundred years and you can still see the prisoners’ graffiti on the walls. The castle is also home to a museum so you can find out more about the history of Mallorca from Roman times. If you visit in the summer try and catch one of the castle’s open-air concerts. Has your family visited any castles in Spain? Which were your favourites? 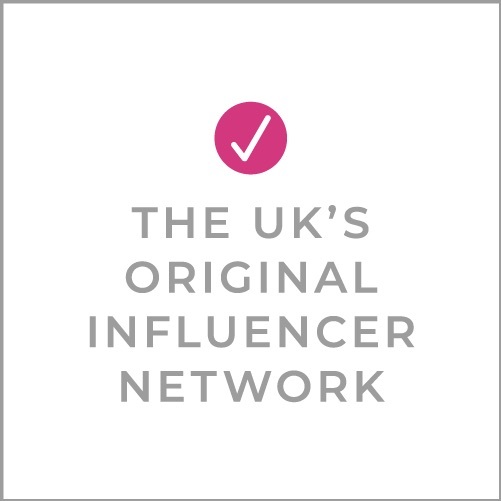 This post is part of a paid project with Spain, promoting family travel across the country. All opinions are the writer’s own. Previous Post Your January TV Guide: AKA how to entertain yourself until payday! Castles are so much fun to visit with kids. Mine like pretending they live in the castle while they’re exploring! It really hadn’t dawned on me that Spain had so many castles to visit, but actually it’s obvious given it’s history. 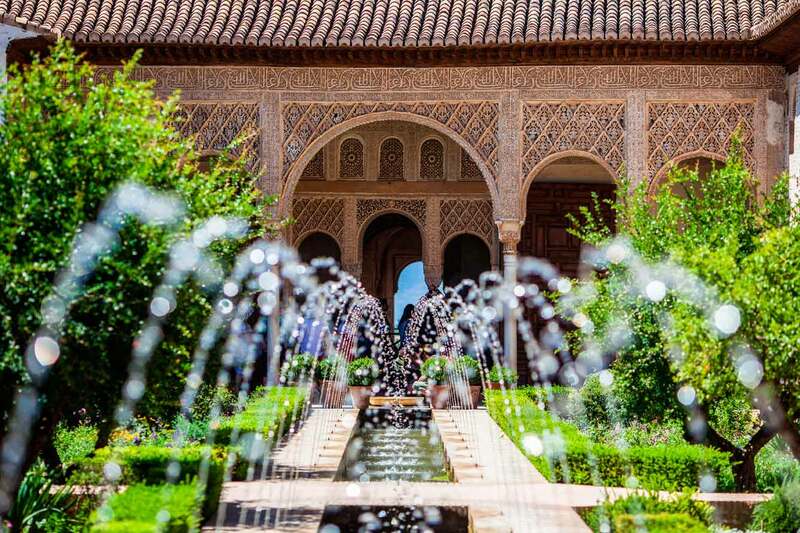 We’ve been to the Alhambra and loved it and now we are keen to visit the rest on your list! I would love to take the girls to Loare Castle in Aragon. We have a Tudor connection where we live so it would be fab to show how the royals reach was very international. Such beautiful scenery to boot too! This is really interesting! I didn’t know that Spain had so many castles. I’ve been to the Alhambra, but none of the others. This is very interesting! I didn’t know that Spain had so many castles. I’ve been to the Alhambra, but none of the others yet.